If you are planning a "staycation" this summer, you might want to include a stop at Adagio Trattoria in Brattleboro for some great Italian food and a taste of world travel from photographer Ron Rosenstock. 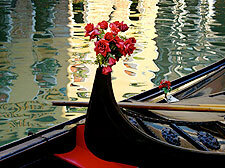 He can take you from Maine to Morocco, Venice to Ireland, to New Zealand or to the Taj Mahal. "My mission is to be one of the caretakers of our planet," said Rosenstock. "I work at this mission by raising awareness of how beautiful and important our world is. My desire is to reach as many people as possible and convert them into also being a caretaker." 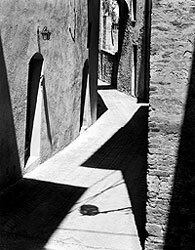 After working with eminent black-and-white photographer Minor White, from 1967 to 1973, Rosenstock earned a master's degree in photography from Plainfield, Vermont's Goddard College in 1977. He taught photography at Clark University in Worcester for three decades, until 2002. For the past thirty years, Rosenstock has been leading photography tours around the world. He and his tour groups embark on adventures with their cameras to discover and refine their "personal vision." "Vision is the intangible qualities of light, color, shadow and subject matter that appeal to an individual artist and lead him or her to compose an image and snap the shutter," explains Rosenstock. "The camera helps us isolate the elements of interest and put a frame around an image. When looking through the viewfinder or perhaps at the digital LED screen, the artist can focus on the relationships between light, shadow, shape, and color." Future trips are planned for Ireland, Iceland, Morocco, Venice, Death Valley, and Vinalhaven, Maine. Rosenstock has published four travel photography books: The Light of Ireland, introduction by Paul Caponigro; Chiostro: Photographs of Italy; Hymn to the Earth, introduction by Carl Chiarenza; and Journeys, introduction by Paul Turnbull, preface by B.A. King. For twenty years Ron shot exclusively with Kodak 8x10 Panatomic-X film. Over the years there have been many technological changes. Moving into the realm of color digital photography, he has expanded his vision and his technique. He considers digital photography another tool with which to work -- not a substitution, rather an addition to his repertoire as a photographer. "Watching the golden leaves fall like snowflakes, watching the waves, listening to nature, sensing nature, all stirs within us the call. My way of reaching people is through my photographs," says Rosenstock. "My work celebrates deeply felt spiritual forces and the energies of nature in time and place." Ron has had over one hundred exhibitions both in the United States and abroad. His photographs are in the permanent collections of the Fogg Art Museum at Harvard University; Worcester Art Museum in Worcester, Massachusetts; Hallmark Museum of Photography in Turners Falls, Massachusetts; Polaroid Corporation; and International Center of Photography in New York City. You can find more examples of his work at www.ronrosenstock.com. Photo tour information is available at www.phototc.com. Nancy Williams is a retired woodworker; former freelance reporter for the Morning Call, Allentown; and a poet. Deborah Lazar is a painter, photographer, and graphic designer living in Putney.